Square: 2200 x 2200 mm. Rectangular: 1600 x 3000 mm. Circular/ elliptical: 2300 mm diameter. Larger sizes can be accommodated by utilizing multiple glazing panes. 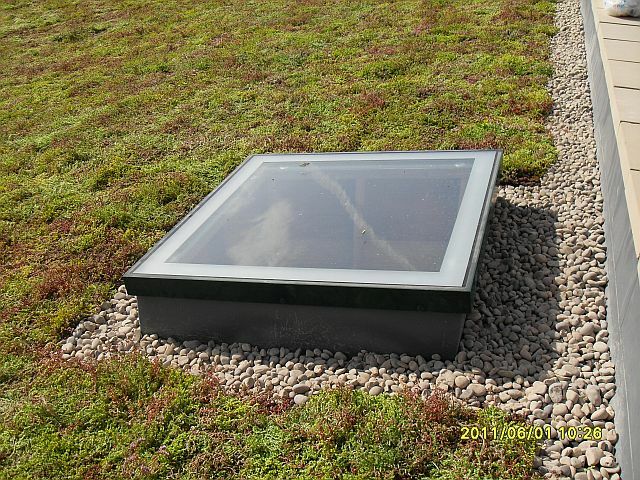 These can be configured with or without transoms/ glazing bars, depending on the design of the rooflight. A wide range of glazing options are available, please consult Roofglaze for exact details. Single panes over 3.3 m² will require the enhanced glazing specification. Polyester powder coated RAL - Insert colour requirements, any RAL colour available. Standard colours are Grey RAL 7015, White RAL 9910, Black RAL 9905.